Anomalies come in many forms. Lights turning on and off in a residence does not always mean the presence of a spirit. It has been my personal experience this activity along with garage doors opening and closing without using the remote is a queue one could be under illegal surveillance,stalking and fly by activities. In reference to my personal experience in 2004 this activity also transpired at the residence of a close friend which I stayed with while under the duress of the assault. The lights to the upstairs bathroom would turn on and off. No one was in the space and though the possibility of a spirit was a concept we were both clear the anomaly came from a fly by. This goes for any electrical system one may notice turning on and off by itself. Remote tactical hardware can operate similar to a UFO anomaly. MILAB or military abduction experimentation can mimic an Alien Abduction however the perpetrators are not little green men more like covert areas using experimental technology. Most people see the possibility of an off world intelligence as something foreign and not connected to their own DNA and cellular memory. This assessment is not correct. The cells and atomic structures are in resonance with this multi-universal consciousness and always will be even when one feels disconnected from the source. The feeling of disconnection comes from false realities and programs,brainwashing all induced by man made interference projects and frequency fence designs. It has been my conclusion that inductions such as the one I experienced are used as psychotronic warfare and in design used to attack ones celestial heritage and power. My Merkaba being a perfect example. A Merkaba is a universal and natural anomaly with a unique Celestial vibrational signature and design. Tagging this design and attaching it onto a man made mock radio signal is what transpired with me and not as a benefit. This is the type of tactical assault hardware people should be aware of. Especially those who have a disciplined Spiritual practice which amplifies their Merkaba signature. This is also the misuse of technology which will show its teeth more and more. Society is being slept and are not conscious of this. They walk through life in a surreal dream. A false matrix and timeline. Currently the mass collectives on a global scale are being drugged by harmful frequencies and transmissions and are not aware of this covert event. The breakdown we are witnessing on this planet is the fragmentation of time which was never real to begin with. What is left is time fracturing. This is why everything feels like chaos. The mass collectives are not in sync with the multi-universes. NightShadow Anomaly Detectives is a team designed to assist in confirming data based on true Science and Technology, eliminating the concept of a possible haunt caused by a spirit or ghost. As a true clairvoyant I am well aware of what Spirits are and how they operate. 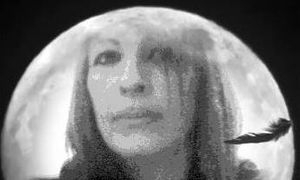 It is easy for me to eliminate the ghost and break it down to a true scientific event or anomaly. Energy and consciousness go hand in hand. The mind manifests ones reality on many levels, What one has been programmed to believe will be the outcome of experience for the most part. It is a different animal all together when an entity shows you what you will see,hear,feel etc. This is the beast you do not want to fall victim to. It will control you,sleep you, and destroy you. It takes on the form of many designs. MK Ultra,Project Blue Beam, Psychotronic programming, the list goes on and on. There is a black market technology along with various covert intelligence areas who misuse this technology. It has destroyed many lives and futures. Mankind has become detached from the universe by his personal choice. Through this detachment he has begun his own demise. I have said this before. Ignorance is the downfall of man. The false god he has created will be his personal imprisonment. It would appear as we get closer to 2012 in the illusion of more and more sightings of what the mass collectives call UFO's appear to be surfacing. There is more of an interest in anomalies and what once was a taboo is now considered a curiosity from all races across the globe. Much of this multi-dimensional sight ties into Universal and planetary Ascension. As the vibrational speed of this planet starts to harmonize with other star systems and universes all dimensions start to merge into a singularity. This is a unique process. As this transpires more and more anomalies will start to take place. Some man made and some not. 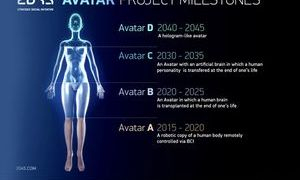 The body will also become the receiver for such anomalies as the body is a multi-dimensional design, transmitter, receiver accessing multi-dimensional and holographic information. DNA activation is a natural attunement to Light Body. MK Ultra related projects are not. The planet itself absorbs data as geometric codes,light languages both in harmonic and machine language. Mankind has never spoken this language well. Mankind has created a mock signal version which he has used for centuries unwisely. As we head towards the event horizon the bleed through,busi-ness and distractions will become more intense. The dead who have once resided on this blue world have moved on in another form of intelligence and energy. The only dead left are those who have held on to linear programs,belief systems and ideals. These ideals create imprints and fractures spreading a form of dead space through the airwaves. I guess you can say the many dead are those walking the streets today living in a linear dream of which they are participating in yet have not created. The solution to the equation is to awaken from the false belief systems which is a time trap of illusion and Ascend into and onto a higher level of consciousness where clarity takes the helm. Celestial races are not dead. They are intelligent energy. They do not have emotional attachments to this blue world,they do not have physical attachments to this blue world. They do not have belief systems associated with this blue world nor do they recognize man's version of history which is a compilation of lies. They do recognize light frequency signatures and their own celestial offspring. 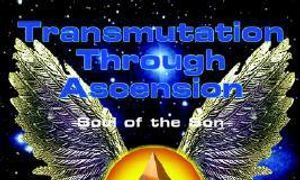 I have taught Ascension and DNA activation before it was called such by new age philosophies. What is true: You do whether you realize it or not manifest at will your own reality. Use your thoughts and intent with clarity and wisdom. There are many who do not and have misused technology to mislead and harm others. Right down to psychotronic weapons mimicking mock signals and dialog to influence and dishonor the free will of another. This is against universal law. The repercussions for this type of violation will be an aftermath the handlers will not wish to experience. I trust this page and website will give you information based on no censorship yet the opportunity to understand the vastness of the mind and how it is merged with infinite consciousness in a respectful and non abusive way. Celestial races honor free will. They will never try to assault you,experiment on you,brainwash you or do anything to harm your celestial design and opportunity to Ascend. Anything which operates otherwise is a deceiver,man made,mock race,species or signal. It will reflect a humanist side which does not honor the free will of another. It will not wish for you to ascend in cellular design or consciousness and will do anything and everything to keep you a prisoner in your mind,body and on in the illusion of this planet. It is the mirror of man's behavior,beliefs,actions and intent. As Above So Below. Any government or intelligence area who claims they are representatives of this blue world to an off world species will not be recognized as such. Governments,religions and private enterprise institutions are self appointed middle men of which are null and void beyond the illusion of time and space. This you can count on. Know your DNA,cells and atoms are in resonance with the Ascension waves. You have all the codes and keys within to Ascend,mutate on and into a multi-dimensional being with unlimited freedom.